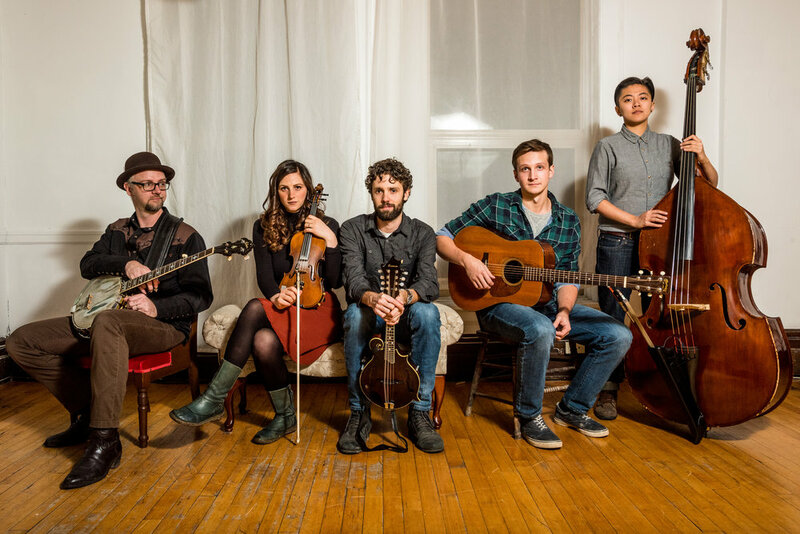 Rooted in the prairie's of Manitoba, Spruce and the Meadowlark deliver a fresh take on contemporary bluegrass. The combination of complex driving instrumentals and haunting melodic lyrics help to create a new perspective on the marriage of folk and bluegrass. Tim Osmond (banjo), Lucas Kost (guitar), Ashley Au (bass), Aisha Belle (violin, vocals) and Donovan Locken (mandolin) invoke emotion with thoughtful orchestration and dynamic harmonious vocals. Offering a familiar sound that takes the listener on a journey to new places. Spruce and the Meadowlark deliver original modern bluegrass written by long time musicians, and soulmates, Aisha Belle (violin, vocals) and Donovan Locken (mandolin). Aisha’s haunting voice has been compared to Joy Williams of the Civil Wars, the combination of complex driving instrumentals and evocative melodic lyrics create a new perspective on the marriage of folk and bluegrass. With help from producer Lloyd Peterson (JP Hoe) Spruce and the Meadowlark will release their much anticipated debut album Spring of 2017.